Exhibition dates through February 2015: by appointment and during select public events. Contact Jason Eppink to schedule an appointment. 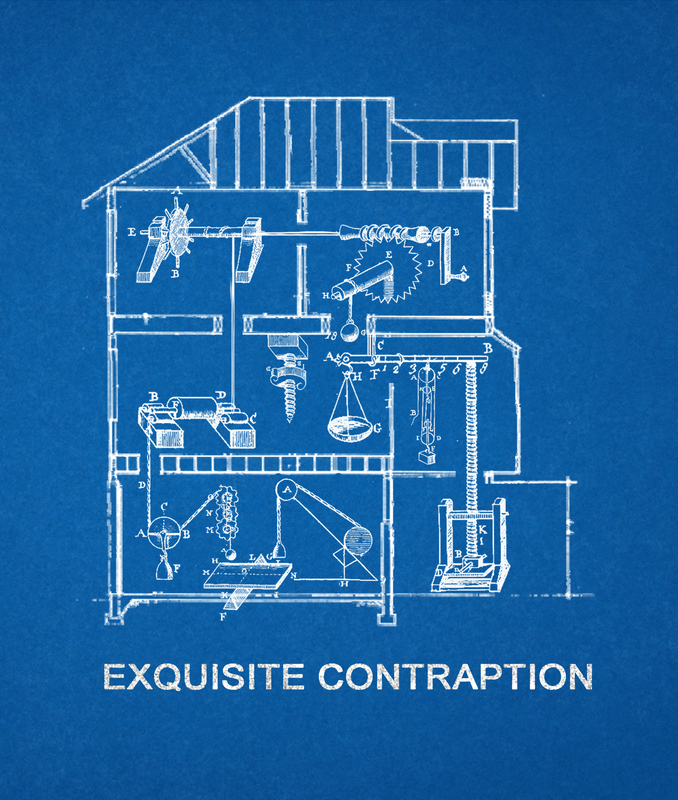 The Exquisite Contraption has been operational for two months! See how the machine has evolved, including all the photographs it’s taken so far. We’ll run the machine several times an hour and it’s totally going to work every time. Exquisite Contraption, a collaboratively conceived and constructed machine that spans the entire building has facilitated a weekly “family photograph” since the official opening in February. Over the current year, the Flux community will exist inside the machine, activating it at the begining of weekly Monday meetings to set into motion a series of automated steps that move throughout the building to announce, instruct, prepare, and photograph those gathered. At the end of its life, Exquisite Contraption will have produced a year-long record of residents and guests who have gathered inside the machine. Exquisite Contraption is supported, in part, by the New York City Department of Cultural Affairs in partnership with the City Council, the Andy Warhol Foundation for Visual Arts, and the New York State Council on the Arts with the support of Governor Andrew Cuomo and the New York State Legislature. If you’d like to help support this project, please go to our Donate page. DJ Vinyl Richie put it together and the rest of us had fun contributing playlists and breathing into the microphone. You can hear all about what's happening at Flux and a few great songs, too.